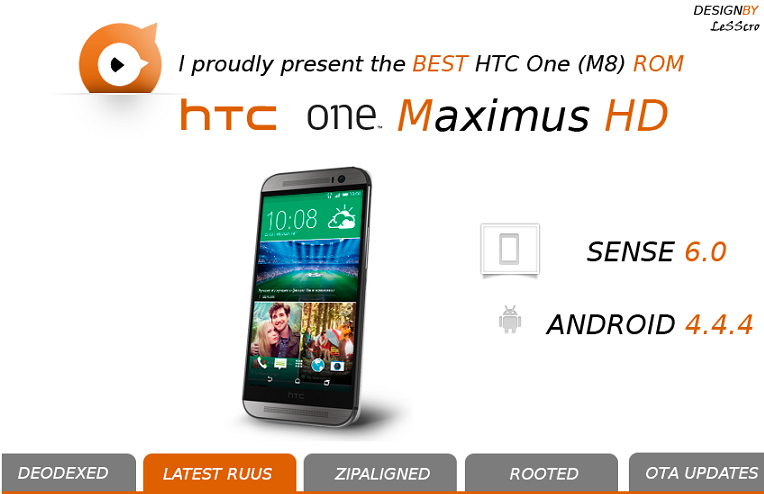 The MaximusHD ROM is based on Android 4.4.4 and comes with HTC Sense 6.0. The ROM is stable and aims at improving speed and providing a great battery life. It brings over-the-air updates as well.